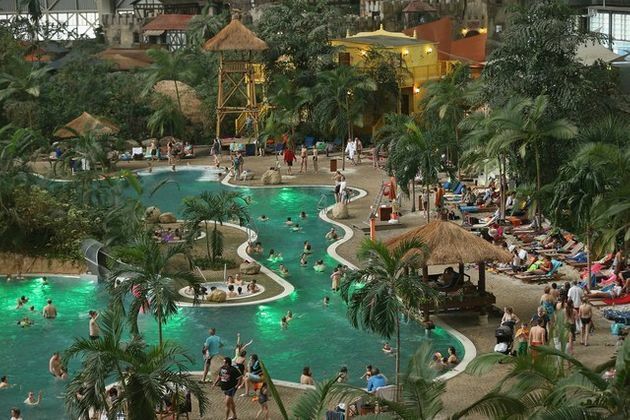 It’s true — many enjoy using outdoor swimming pools to exercise, spend time with friends or family, and work on their tans. 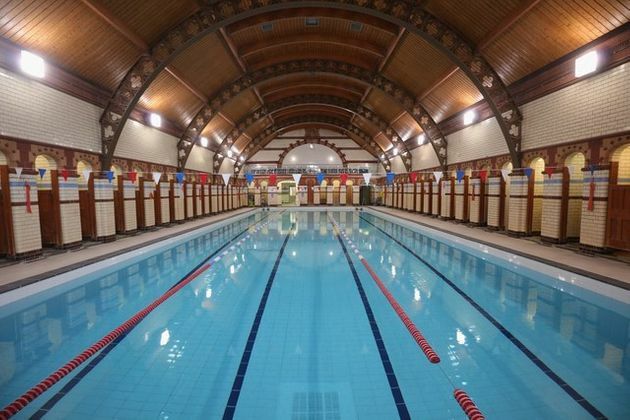 And while the winter months may not be conducive for swimmers, or their tans, an easy alternative exists: indoor swimming pools. 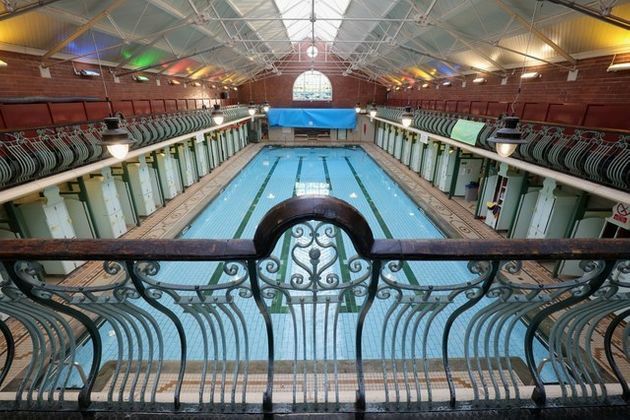 What some of these closed pools lack in natural outdoor gratification, they certainly make up for with stunning interiors. 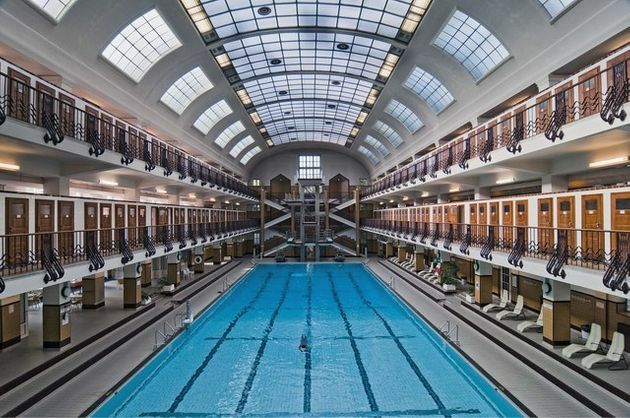 From Budapest to Berlin, AD surveys 16 of the world’s most dazzlingly fashioned indoor swimming pools. 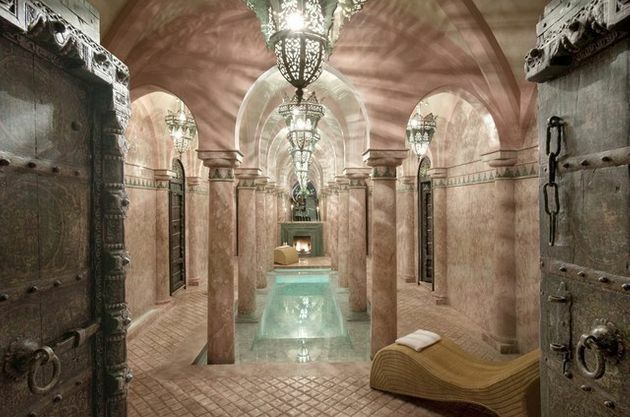 In the heart of one of Marrakech’s most historic neighborhoods is the La Sultana Hotel, where guests are treated to one of the world’s most spectacular indoor swimming pools. 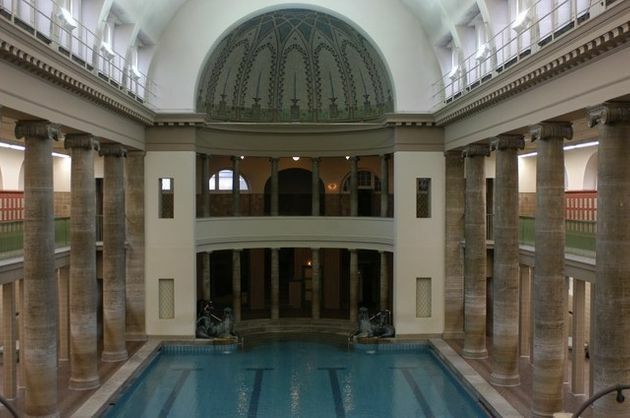 Lined in marble and lit by iron lanterns, this pool is quite the boutique oasis. 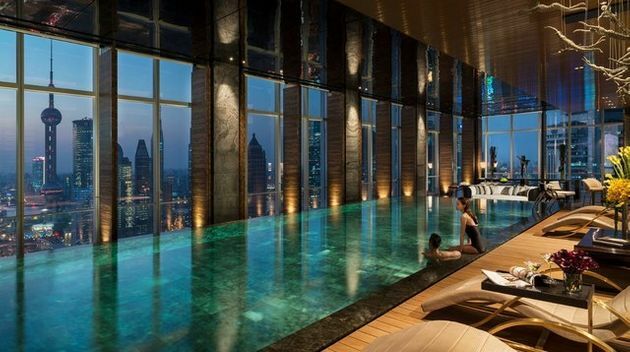 If you’re visiting Shanghai, a trip to the Four Seasons hotel is a must. Perched high in the sky, guests will enjoy jaw-dropping views of the city’s downtown, while relaxing in the hotel’s infinity pool. 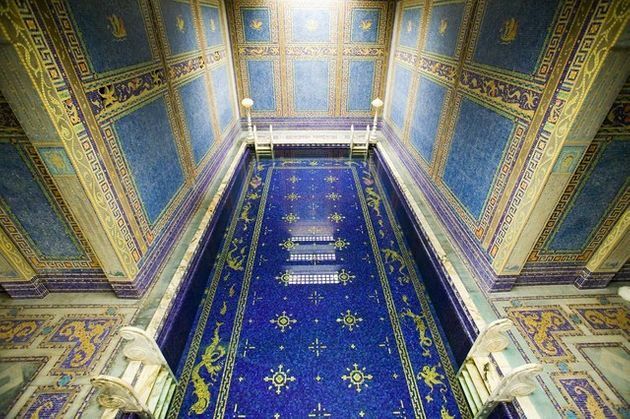 Many of Hollywood’s brightest stars swam at Hearst Castle’s indoor pool in San Simeon, California. 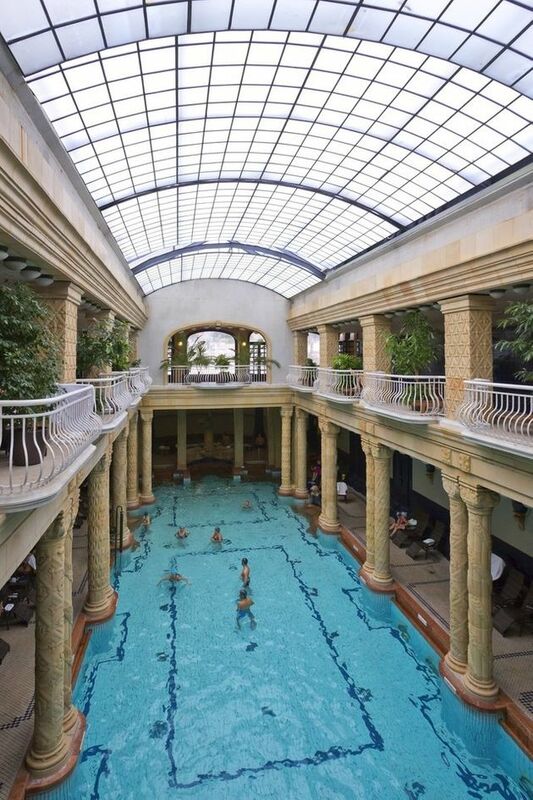 The majestically tiled pool is surrounded by eight statues of Roman gods, goddesses, and heroes. 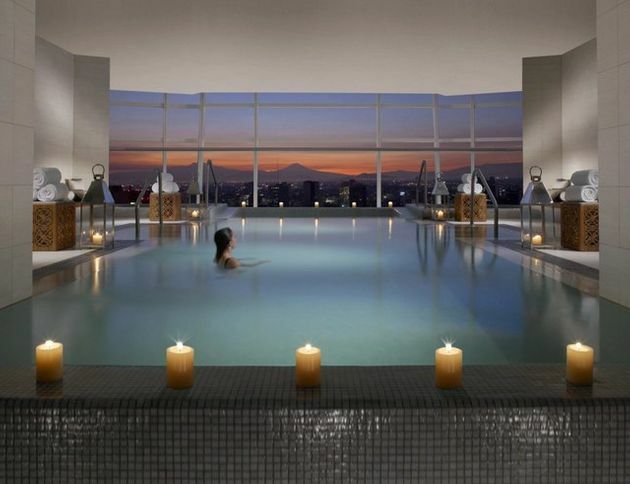 Although it’s not the geographical center of Mexico City, the Cuauhtémoc district–where the St. Regis Hotel is situated–is the oldest part of the city and cultural center of the metropolis. 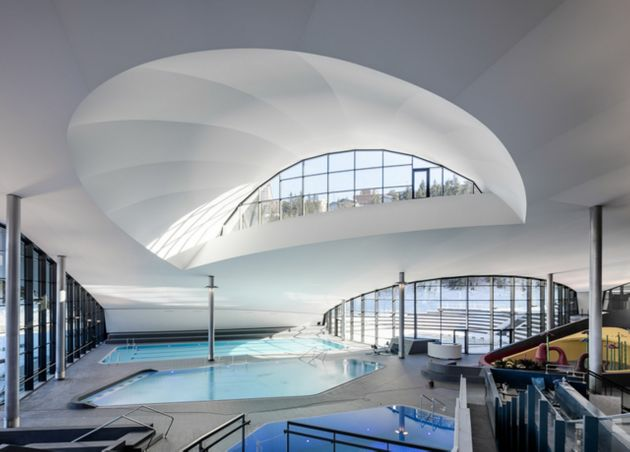 Guests of the hotel will be able to relax in a magnificent 100-square-foot indoor pool that overlooks the city and the mountains outside of the Mexican capital. 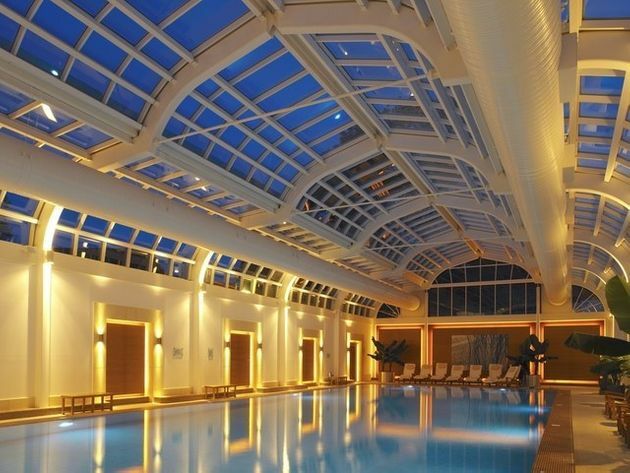 The indoor swimming pool at the Sheraton Hotel in Krakow, Poland, is closed off by a marvelous glass atrium. 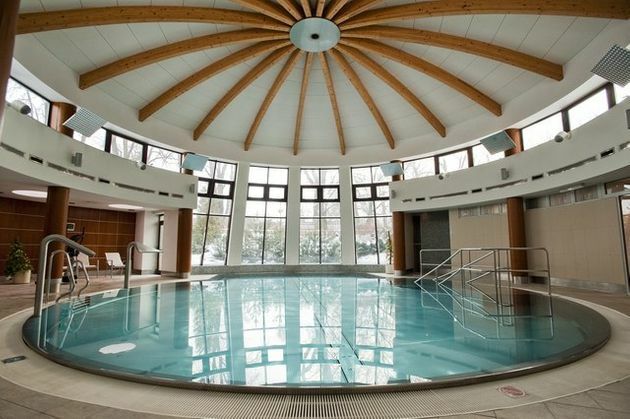 The Four Seasons Spa, in Hampshire, England, features a 66-foot-long indoor swimming pool that can open to the property’s outdoor pool as well. 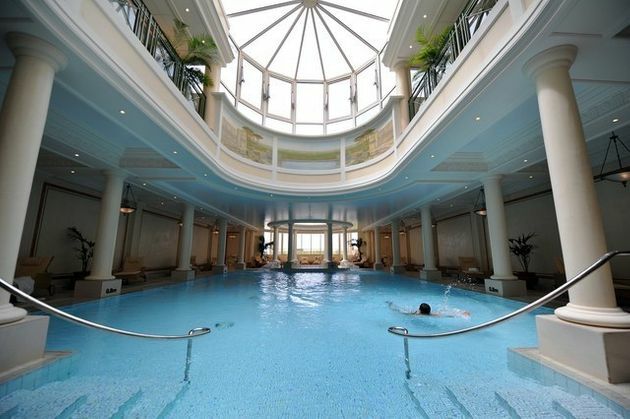 Situated in the French Alps is Aquamotion Courchevel, a charming alpine aquatic center. 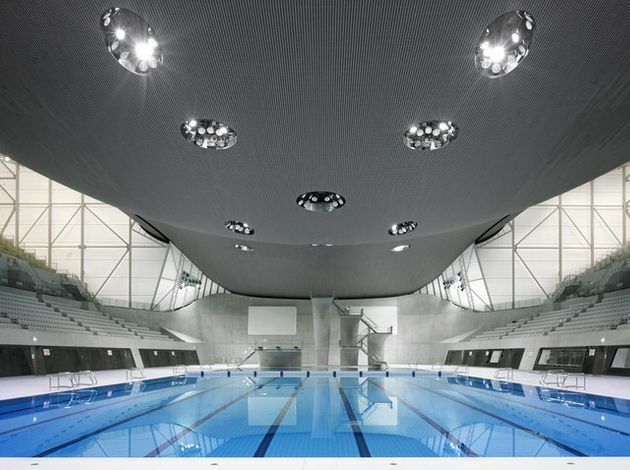 Designed by the German firm Auer Weber, the facilities opened in January 2016. 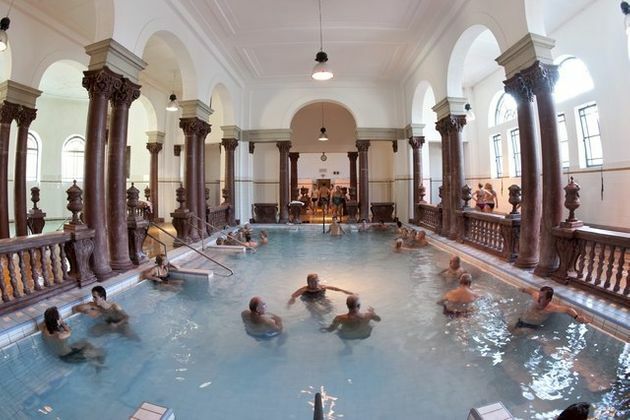 This article was originally written by Nick Mafi and appeared here.